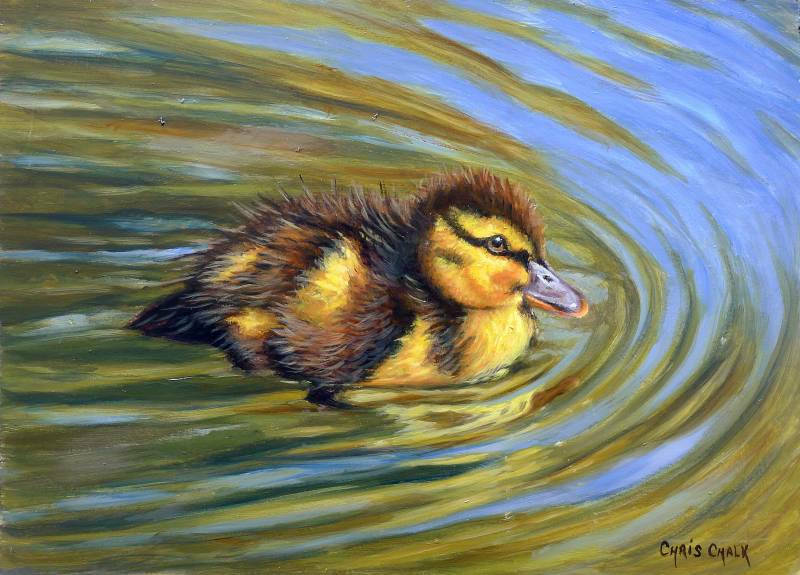 Little Paddler is a duckling painting inspired by my visits to the Cilgerran Wildlife Centre, here in Pembrokeshire. 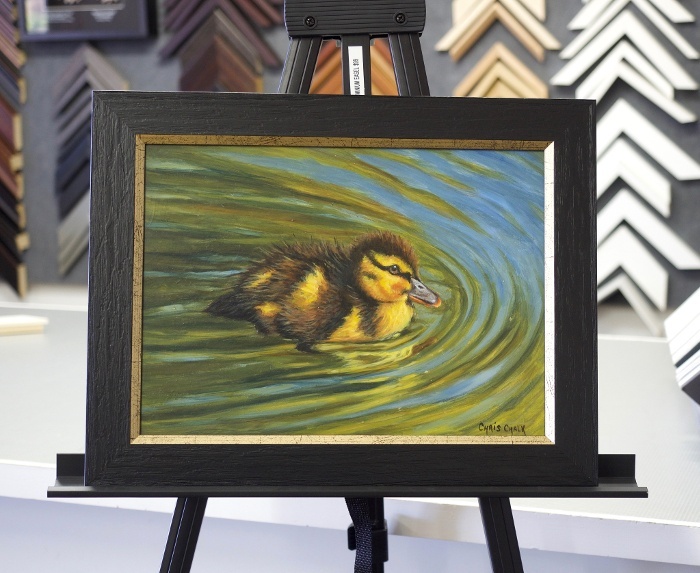 The reflections in the water surface compliment the beautiful little duckling as he busily paddles around. Painted on hard-board, 14 inch x 10 inch - This painting ideally requires framing. Frame shown above optional extra, please enquire.